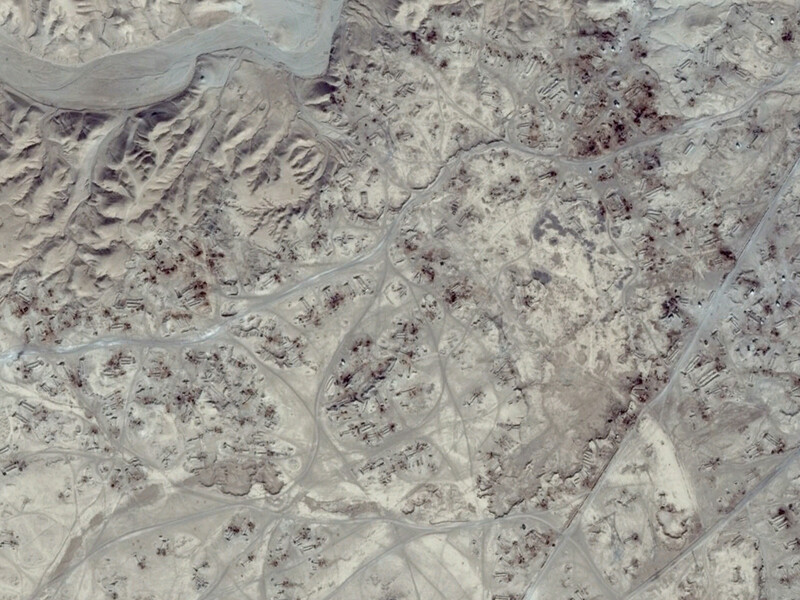 The environmental scars left by the use of artisanal oil refineries near Deir-ez-Zour Syria. The practice expanded rapidly after Russian and Coalition forces destroyed Syria's oil infrastructure and armed groups recognised oil's potential to finance their activities. However the primitive refining process carries it with serious health and environmental risks. Credit: Google. The Syrian Civil War began in 2011 after the government sought to crack down on democratic protests that were part of the wider Arab Spring. It subsequently developed into a quasi-international armed conflict involving regional and international powers and dozens of non-state armed groups. Syria’s pre-war oil industry has been the focus of attacks by all parties to the conflict. The capture of wells and refineries by opposition groups and Islamic State saw facilities regularly bombed by Russian and US aircraft, causing localised pollution. This policy, whose aim was to deny oil revenues, had little effect on demand for oil products, and caused the civilian population and armed groups to turn to informal oil refining methods; the highly polluting process has affected communities and the environment across Syria’s oil producing areas. Intense fighting in urban areas has generated vast quantities of rubble and waste, and has affected residential and industrial areas, potentially creating pollution threats. Critical environmental infrastructure such as energy, water and sewage systems have been deliberately targeted or suffered damage, causing pollution and increasing public health risks. Inadequate pre-war solid waste management systems have deteriorated further or have broken down entirely in conflict affected areas. Environmental contamination from the intensive use of conventional weapons is also likely to be widespread. Massive population displacement within Syria has placed increased environmental pressures on cities and rural areas, while neighbouring countries hosting large refugee populations, such as Lebanon, Jordan and Turkey have also faced environmental pressures. Environmental governance in areas affected by the conflict and beyond government control has been heavily disrupted, while the impact of the conflict on biodiversity and protected natural areas remains unclear. Agricultural areas have been heavily contaminated by explosive remnants of war. Since 2016, the Assad government has highlighted the environmental dimensions of the conflict in international fora, branding it an environmental disaster. In 2017 they placed the blame for damage to oil and vital civilian infrastructure on “terrorist groups” and the US-led coalition, and argued that economic and political sanctions are hampering environmental restoration projects.3 They also called for states and the UN to support environmental programmes in Syria. If peace is achieved, the outcome of the conflict will strongly influence Syria’s ability to attract international donor support for environmental assessment and remediation measures.